Hey there, I'd love to help you design a great website, an app or any other user interface that you might need. Plus I have a great eye for end-user interactions and behaviors so I'll help you figure out the fine details of your UX along the way, just send me a quick message. Let's work together. "I've done multiple projects with Mark and always come out satisfied with the result....until the next project!" "Been working with Mark for close to 2 years on multiple projects, always great work done quickly, appreciate it!" "great experience with landing pages, illustrations, icons, design advice, and more"
"I can always count on Mark for quick and on point work, fantastic designs and an awesome experience!! " "Great work delivered quickly thank you!" "Great work, responsive and quick! 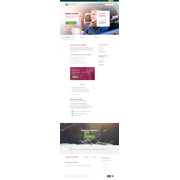 Will use again"
"Mark@TW, provided us with a nice clean layout, great usage of images, graphics and color combinations that captured the style of our site." "Great job once again, thanks very much!" "have been working with Mark for over a year now on many various projects and it's always great working with him, appreciate it!" "Mark has provided consistently amazing work. Would recommend in a heartbeat. " "Mark is always amazing. I always feel that my project is in safe hands when Mark is designing our pages! " "Thanks for the great work and design!" "I have completed several projects with Mark to date, and he has continued to impress me on every project. Timely, creative, and willing to make the proper revisions to ensure a stellar design. " "great work on this project, thank you!" "great job thanks very much!" "Always great work in a reasonable amount of time!" "Superb designer with an amazingly high level of creativity. I know I can always rely on him to create awesome designs, even in a time crunch! Many thanks Mark! " "Always can count on Mark for great work!" "Great work as always will continue to work with Mark for all my design projects!" "Great work and attention to detail as always thanks very much!" "Great work and quick service!" "Always a please working with mark, thank you very much"
"Quick job, great work as always!!" 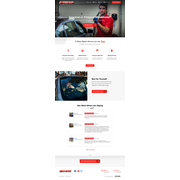 "We did a 5 page redesign with Mark and he was wonderful to work with! He communicates well, is responsive to edits and critiques, responds quickly and works efficiently. He is creative in his design and helped us create a product we are very happy with...."
"Great job, quick service as always!" "Mark is an amazing designer who goes out of his way to really learn your concept and to deliver your requirements. I would recommend him 100x over and will certainly work with him again in the future! " "Mark is an incredible designer. 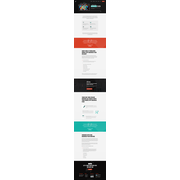 Our site had a ton of text and needed both great design as well as great UI/UX. He delivered a flawless design that really met our brand vision and was extremely quick to make revisions! It takes quite a bit to impress me..."
"Always a great job by Mark, would recommend to anyone and will use again!" "Another great job by Mark, appreciate the help!" "As always a great job by Mark, hard worker and sharp"
"As always Mark will work with you until the design is perfect, appreciate it!" "Mark was great to work with! Very responsive and creative...has great ideas and it was clear his design was better than all the others on the first try. Will continue to work with him on re-skinning the rest of our site and look forward to working with ..."
"Amazing! Mark is super fast and super friendly." "Mark is a hustler and a good designer. I appreciate the speed and patience!" "Great to work with! Will send more jobs their way. " "Mark is one of the most talented and professional designers I've had the pleasure of working with. It's very clear that he does his homework before creating a design, as he quickly created one for us that we rank among the best we've seen in this space...."
"The Workshop is awesome. Talented designer and very responsive. Definitely trustworthy and reliable. " "Great work! The workshop is a good designer and uploads a lot. "